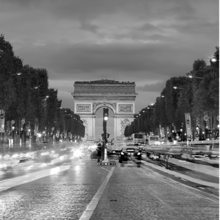 Located in a prime location on the CHAMPS ELYSEES, frequently described as 'the world's most beautiful avenue', with over 100 MILLION ANNUAL VISITORS in the area. 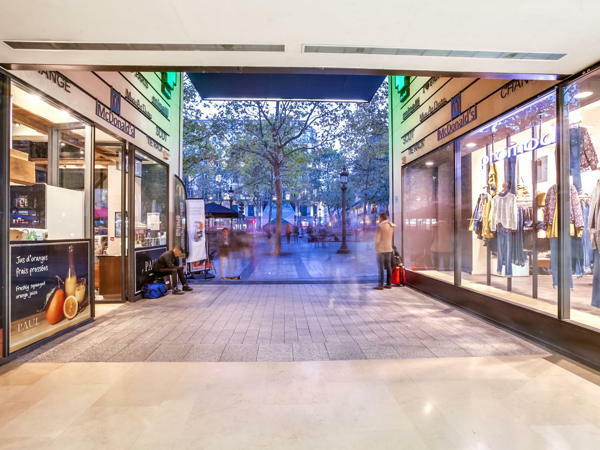 "Galerie des Champs-Elysées" is a privileged commercial space for a pop-ups! 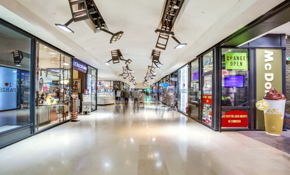 "Galerie des Champs-Elysées" shopping arcade enjoys one of the most prestigious locations in Paris, and had been extensively redeveloped in recent years. It is on the sunny side of the Champs-Elysées in the most visited area of the avenue. The property has regained its sleek, elegant and eye-catching looks following a complete redesign by Jean Nouvel. The kiosk is located in a strategic position with high footfall and the likes of retailers such as Promod, Paul, TieRack and McDonald's. 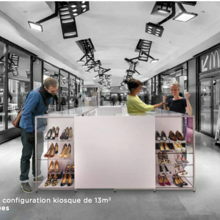 The kiosk is at close proximity to the entrance of the shopping gallery, with exposure to people walking on the Champs Elysées. You have the opportunity to rent a kiosk for 1 to 3 months. 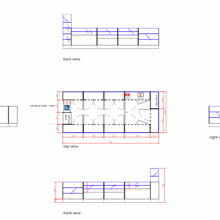 An underground private parking lot at 6, rue de Berri, with designated parking bays for the tenants. IN THE CHAMPS ELYSEES with over 100 MILLION ANNUAL VISITORS in the area "La Galerie des Champs" is a privileged commercial space for a pop-ups! 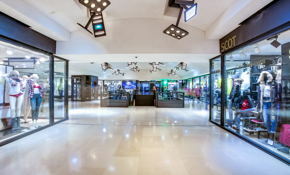 For brands who desire to have an amazing location and a unique commercial space in the heart of Paris and the Champs Elysees. 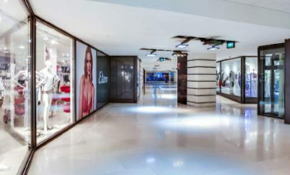 A privileged commercial space to host attractive retail and communications' operations. 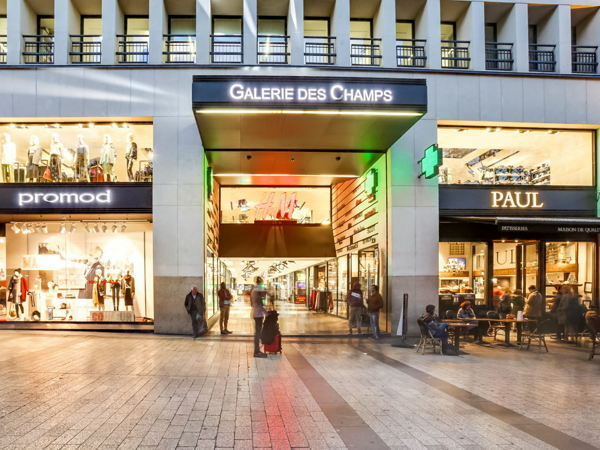 GOAL : Allow ambitious brands to afford the luxury of having a space on the Champs Elysées and offer visitors strong and attractive mix of tenants. Kiosks can be rented to the client in spots #3, #4 and #5, but they also can come with their own kiosks of course. Pharmacy located in the upper gallery : 24/7. 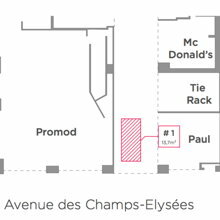 Stores accessible from the Champs-Élysées avenue: opening hours from 7am to 1am. Stores accessibles from the inside of the gallery : opening hours from 10am à 8pm. 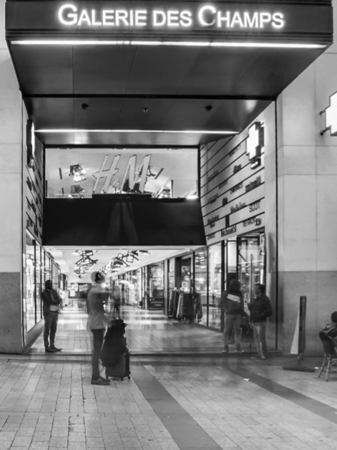 During festive periods (sales, holiday season...), the opening hours can be expended from 7am to 1am to all the stores.